My methods make training enjoyable for both dog and owner. I train dogs in a way that they want to work with us. I use kind, scientifically proven methods which are highly effective with any dog behavioural issue from ﻿﻿'red zone' aggression﻿﻿ to general obedience. The dogs in my training sessions are never forced to obey an 'alpha' through pinning to the floor or jabbing the dog in vulnerable parts of the body. Force-free does not mean 'no rules' or 'weak' but instead means understanding a dogs needs and communicating in a harmonious confident way to build a relationship with trust. 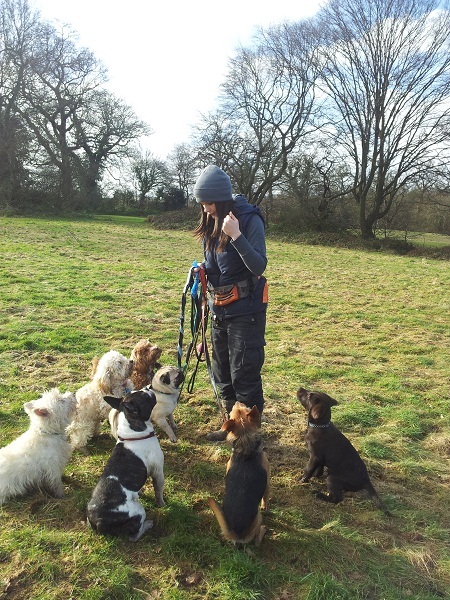 Along with a small team, we work with dogs and live with dogs on a daily basis, often walking and controlling groups of dogs consisting of 15 or more dogs at a time - each with individual requirements. We do not use force to get the dogs to behave, they enjoy being a part of our group and through training have learnt to enjoy training. Dogs of any age and breed are welcome. Often, help sheets will be provided for clients to help them through their training. We do not use: Prong collars, electric shock collars (e-collars) or other unnecessary tools or methods of training. Our trainers do not work with 'alpha' theory. These methods may appear to work for other trainers but we do not believe they have a place in the modern dog training world and instead we use scientifically proven force free methods. Our aim is to work with owners to meet their requirements as much as possible while maintaining a friendly and enjoyable training environment, free from judgement. We're always more than happy to work with owners that have until now used aversive training methods and equipment to attempt to control their dogs but are set on changing their methods. Are some problems not able to be sorted through dog training? Extreme cases, training alone may not be enough. Usually because of a dog's underlying health problem, extreme anxiety, PTSD or a neurological problem. In these cases, a long term management plan may be the best way forward or we can advise you on a veterinary behaviourist who may be able to offer additional support. Will we ever recommend euthanasia? Sadly this is a common question we're asked by owners who have come from other trainers who have recommended euthanizing their dog as the only solution. Our policy is not to advise drugging or euthanizing dogs as we believe this is a very personal and difficult decision to be made between a client, their family and their vet. We may sometimes recommend natural / gentle remedies such as Zylkène, Rescue Remedy (the non-alcohol version) or Adaptil. Occasionally, depending on the problem, or may advise neutering but most common behavioural issues are not helped with neutering and in some cases neutering can worsen behaviour. 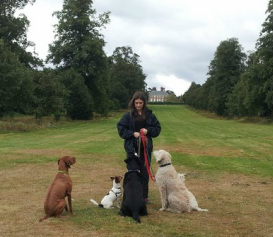 Dog training with elites trainer in Chingford all puppy and dogs suitable for private sessions with Chingford's best most experienced, qualified instructor in e4 enfield woodford Chigwell and Loughton. 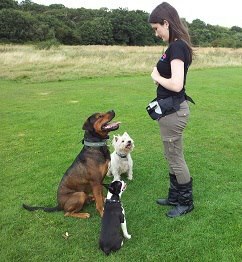 Private dog training with Elite Dog Trainings experienced and qualified head dog trainer Sarah Harman. Over 10years practical experience. Qualified in Canine Behaviour and Animal management.